A previous study by Dr Kenneth Korach – who was also co-investigator for this study – found that lavender and tea tree oil had properties that competed with or hindered the hormones that control male characteristics, which could affect puberty and growth. 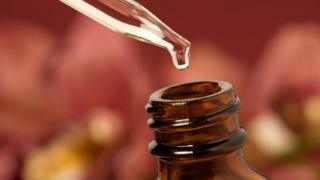 The new study looked at eight key chemicals from the hundreds that make up the oils. Four of the tested chemicals appear in both oils and the others were in either oil. They were tested on human cancer cells in the laboratory to measure the changes. The researchers found all eight demonstrated varying degrees of promoting oestrogen and/or inhibiting testosterone properties. 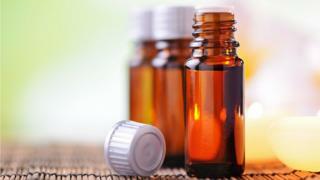 Many of the chemicals tested appear in at least 65 other essential oils, which is of concern, he added. Prof Ieuan Hughes, emeritus professor of paediatrics at the University of Cambridge said the findings “have confirmed why an individual using such oils containing these chemicals may develop breast tissue”. “The anti-male hormone effects are rather unexpected and it is not possible to comment further without the data. “Of course, not everyone exposing themselves to such oils has adverse effects, so it is possible there are particular individuals who may be more sensitive to the effects of the chemicals, or perhaps are using the products in excess. He said attention should be given to better regulation of these products. Dr Rod Mitchell, honorary consultant paediatric endocrinologist at the Queens Medical Research Institute in Edinburgh said the study “is important in establishing a possible mechanism for the suggested link between gynaecomastia and exposure to lavender and tea tree oils”. “However, there are important factors that must be taken into account when interpreting these results. The tests are conducted in cancer cells, which may not represent the situation in normal breast tissue. He called for further larger studies. The study results will be presented on 19 March at the Endocrine Society’s annual meeting in Chicago.